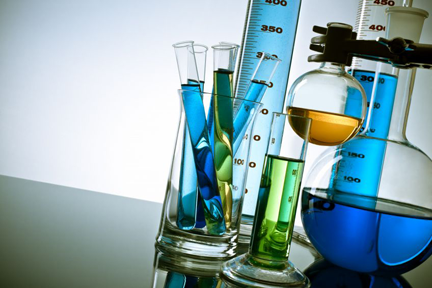 Commercial laboratories have several critical demands. The lab must be able to maintain very high sample throughput with a broad range of sample types, provide very fast turnaround, and provide multiple reports to their customers, and the lab must do all of this and make a profit. To meet these demands, a commercial laboratory will often have multiple systems, and multiple types of systems. A commercial laboratory often uses multi-detector manual system for counting water samples. The multi-detector system counts multiple samples simultaneously, and therefore allows high sample throughput even when count times are several hours per sample. The MDS is ideal for several reasons. It is easily expanded in the field from 4 detectors to a maximum of 48. The MDS has the best maintenance design in the industry, allowing most routine maintenance to be done in minutes, rather than the hours typically required by other systems. An automatic windowless system is also an excellent choice for radiochemistry samples. The IPC-9025 is has been used for years to get the very best alpha and beta efficiency available, without sacrificing background performance, or ease of maintenance. If the sample mix is weighted more toward air filters, smears, and similar samples, then the WPC-9550 is the best choice. The WPC-9550 has become the system of choice for health physics type samples. It provides the best performance, the lowest weight, the easiest maintenance, and the most control flexibility, of any system in its class. The combination of an MDS plus WPC-9550 or MDS plus IPC-9025 or will provide any laboratory with reliable high production systems. Each of these systems delivers the needed MDA sensitivity in the shortest possible times. Gas flow proportional detector with an ultra-thin, user replaceable window.